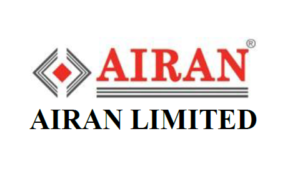 Airan Limited offers Information Technology (IT) and Information Technology (IT) enabled services including Banking transaction processing services and Document management services for telecommunication companies, internet services provider, payment banks etc. The company offers several services to its clients such as Door Step Banking & Pickup Services, Address Verification & Credit Verification, Know Your Customer (KYC) spot audit, pickup of forms from the distributor‘s point, Document Management Services (DMS) to Airtel, Cash Management Services (CMS), Account Opening Form Processing, Back Office and Records Management. With a workforce of 495 employees, the company operates in the state of Gujarat. Airan Limited IPO allotment status is now available on Karvy Computershare’s website. Click on this link to get allotment status. You can also check allotment status using application number on this link. I have applied in airan ipo. What will be listing price?? Your data is rather appealing.Hi there, awesome websites you have got there. How is Airan IPO? Tomorrow is the last day, good to apply?